Is your pup all tuckered out from barking and now looks a bit grumpy? 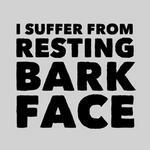 Our Resting Bark Face Dog Shirt in Gray explains it all. 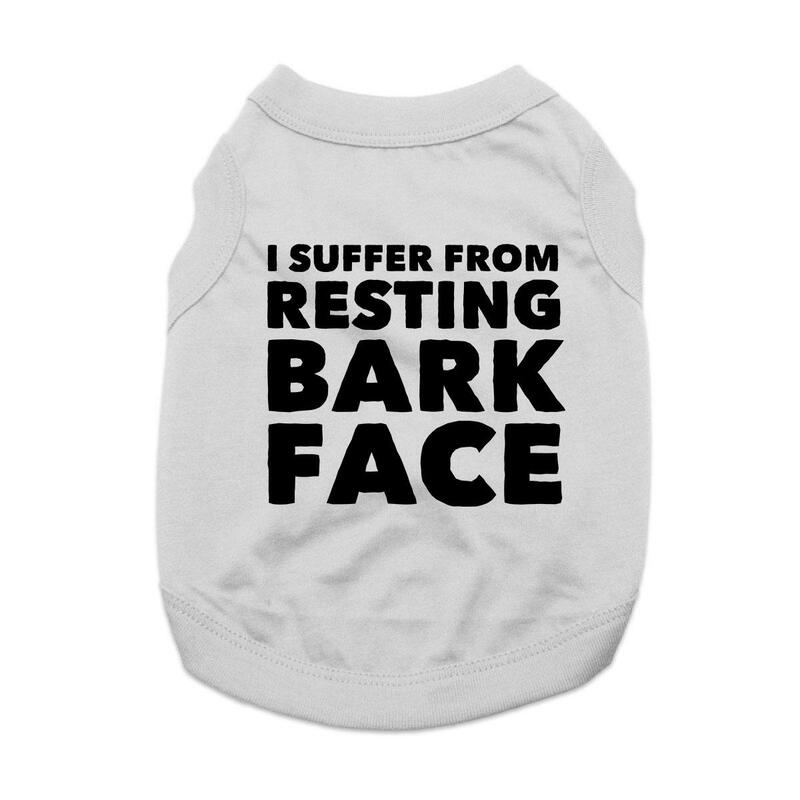 With a nod to contemporary culture, this humorous Resting Bark Face Dog Shirt in Gray will explain your dog's apparent lack of enthusiasm. Created just for your pet in our BaxterBoo.com T-shirt Shop, this custom shirt will have all your dog's fans smiling. 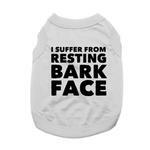 For dogs that have a consistently grumpy expression, this is the ideal shirt. It will help your pet create the perfect post on their social media accounts and garner giggles at the dog park. Your dog will enjoy the breathable lightweight 100% cotton and sleeveless style that won't impair their movements. A high-cut tummy keeps your pup clean and dry. Available in a wide range of sizes to outfit the whole pack. Baxter Boo's products are made well, in fact, my dog Molly is 10 years old now and I have to give away the clothing that I got from Baxter Boo when she was one month old! They are in near perfect condition. Baxter Boo's sales make the clothing that I favor so affordable and their selection considerable I stopped looking at other dog clothing sites. And checkout as well as their customer service always is smooth and easy. When I take Molly to the park adults and kids always come up to Molly and fancy her outfit or harness I always point out Baxter Boo.